Aircraft Cabin Innovation Seattle by RedCabin is ready for boarding. It is taking place at the Museum of Flight from June 4th to 6th 2019. Qatar Airways, Optimares, Alaska, Pitch, Design Q, Teague, Acumen, DesignWork a BMW company, ANA, Butterfly Seat Design, Delta, are some of the confirmed attendees. 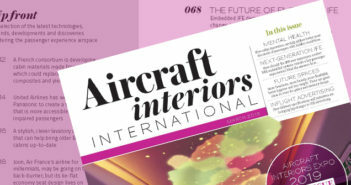 An interactive working group platform allows you to discuss, and most importantly collaborate with airlines, cabin suppliers, design houses and plane manufacturers on the future cabin interior projects. Workshops hosted by Teague and Microsoft await delegates on day three. Density configurations on single-aisle aircraft – Pitch Aircraft Seating. Renee Dankwerth, General Manager, RECARO Aircraft Seating Americas LLC.